WUFA would like to officially congratulate Xavier Pratt for signing terms with the Wellington Phoenix. After a successful season with Hamilton Wanderers and impressing throughout the year at WUFA, Xavier earned a trial at the wellington based A-league side. Xavier impressed during his week long trial and was offered a 1 year deal, all the staff at WUFA are confident that he will continue his good work and we look forward to him progressing through the ranks at the Nix. Good luck Xavier and Well done!! 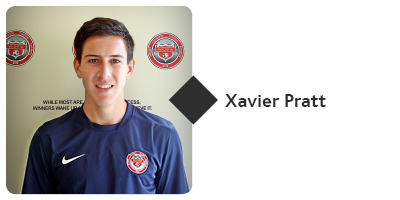 WUFA member Xavier Pratt travels to Wellington this week to trial with the Wellington Phoenix. Xavier impressed with his performances in our tour to Wellington earlier in the year and has been invited to spend time with the Nix as they build their squad for the for upcoming A-league and ASB premiership campaigns. Congratulations to Jacob Robb on his scholarship to an American college, Jacob left the Waikato University Football Academy last week to take up an opportunity at Worcester Academy in Massachusetts. We wish him all the best and we will watch his progress with great interest. Jacob joined the academy this year and was also involved in the Waibop youth squad last summer. 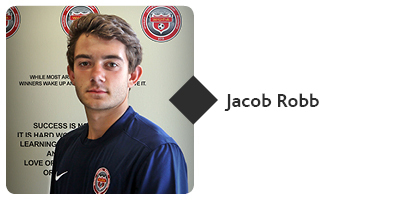 Jacob is a hard working striker with the ability to hold the ball up well to interlink with midfield, he is also a striker that makes intelligent runs, with these attributes we are sure he will excel in the America game. Click the below link to see WUFA’s latest video showing a snapshot of what we have done to date this year. Thanks to Simon Mead, one of our coaching staff and also our Video Analyst. Simon is a whizz on the PC and had this knocked out within a day. After a few months absence the WUFA homepage is back! Unfortunately the site was hacked and a huge amount of data was lost, so we had to start from scratch to get the site back up and running. So here we are, hopefully bigger and better with more informative pages to let you know exactly what WUFA is and what we’re about. So far its been stellar year and its absolutely flown by, and we are now taking applications for next year. For any queries contact us on wufa.info@gmail.com or visit our FB page https://www.facebook.com/UniversityofWaikatofootballAcademy.